This article focus on 2 functionalities – database and file activity monitoring. CAS and FAM (ICM) functions will be described in the separate articles. 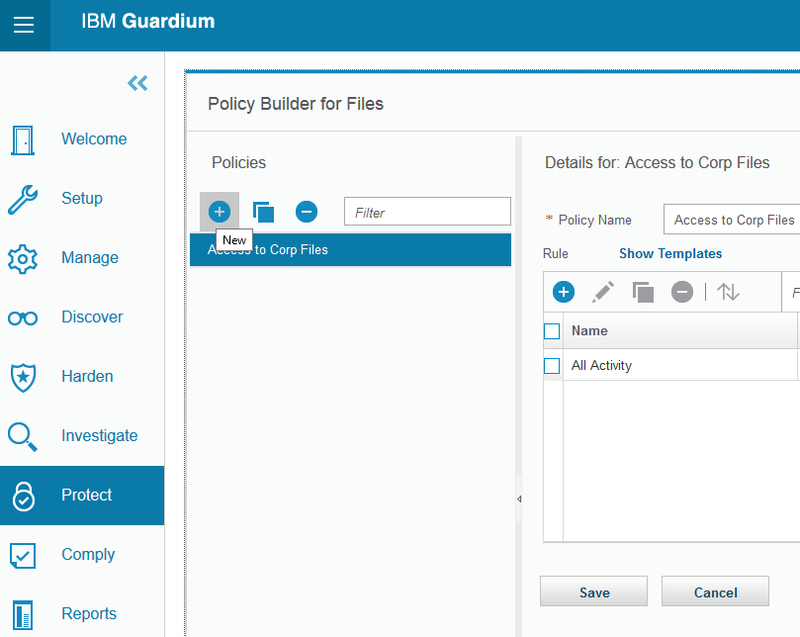 The GIM packages are located in the Guardium_10.0_GIM_WIndows.zip package available on IBM Fix Page, this same where we can find the GIM installer. 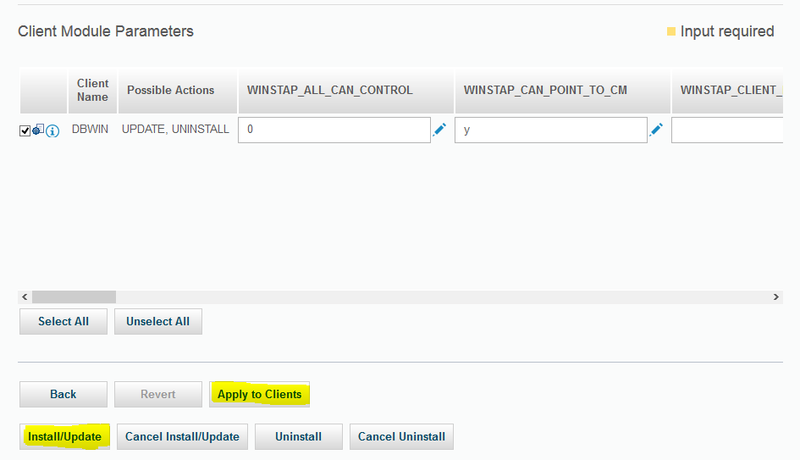 New: In G10 the CAS module is separated from WINSTAP and it has to be installed separately. It is separate archive. 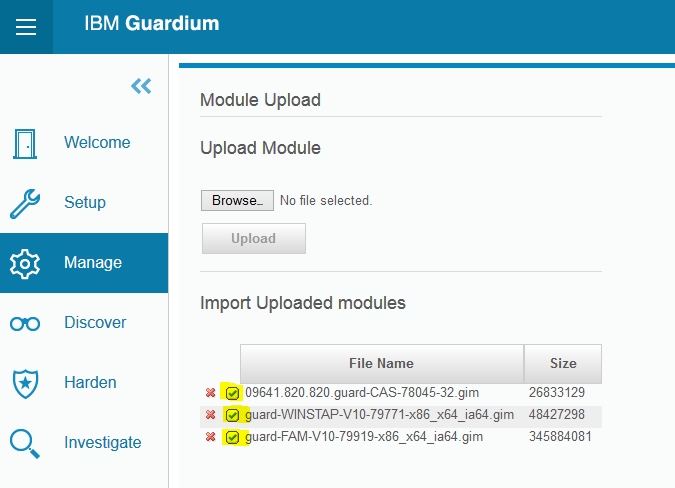 Then import the uploaded modules – click on small “Import this module” icon and confirm this operation. After a while you will be notified that module has been imported. Note: In this article I assume that GIM is installed on monitored system – GIM installation is described here. Now we are ready to install. 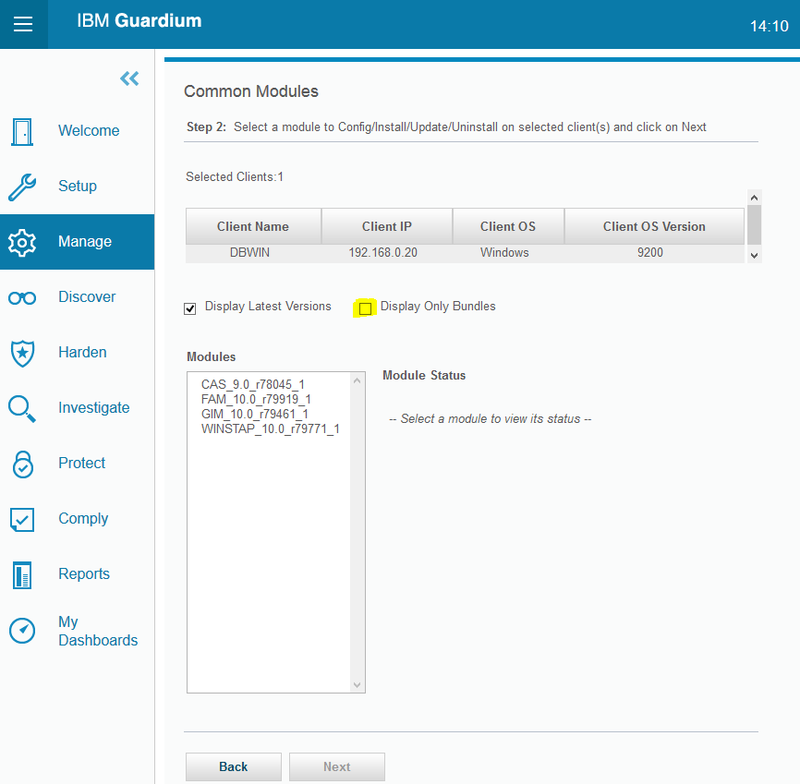 Module configuration screen has not been changed in the G10. The “Common Module Parameters” section contains the preselected parameters (the assumption most widely used). 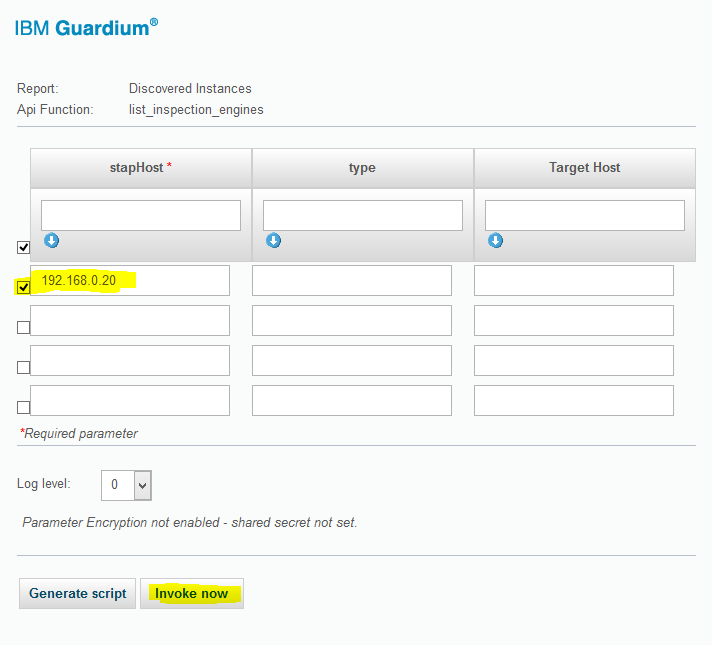 In the comparison to G9 we can notice 4 new fields for Query/Rewrite feature (firewall parameters still unavailable). However I prefer fewer options in this section than putting them all, what we see in Linux S-TAP configuration. “Common Module Parameters” section is used to simplify module configuration. The “Apply to Selected” button saves data from this form to marked systems inside “Client Modules Parameters” section. It is useful in case when you configure 2 or more managed systems together. Please notice that most parameters have default value and you do not need set them. 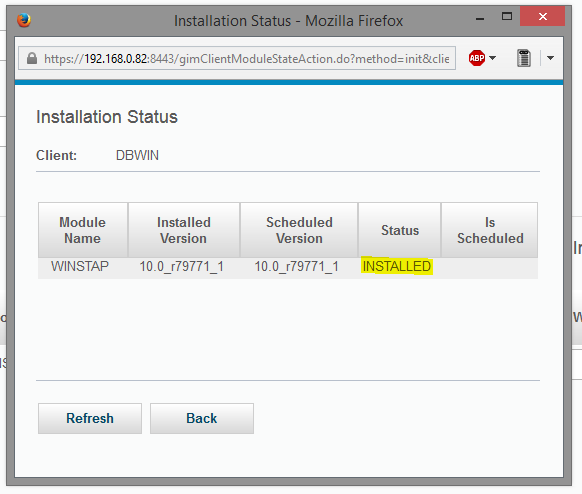 It is possible to disable instance discovery during WINSTAP installation process. The -NOAUTODISCOVERY flag has to be set in CMD_COMMAND_LINE parameter. 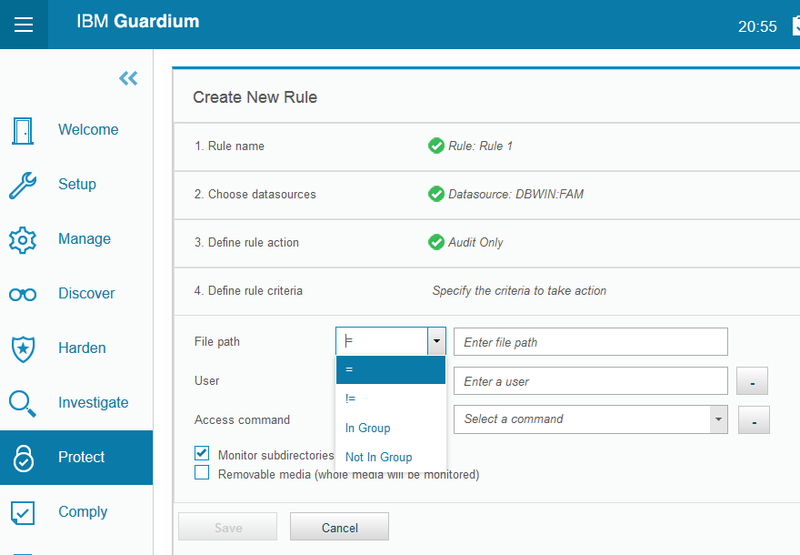 New in 10: Action menu in the report allows to invoke Guardium API calls for all results in the related report. Very useful feature. Instance discovery process can be executed periodically using DISCOVERY_INTERVAL=<time_in_hours> parameter. This parameter cannot be modified by grdapi and you should remember to set it during installation or later change it manually. 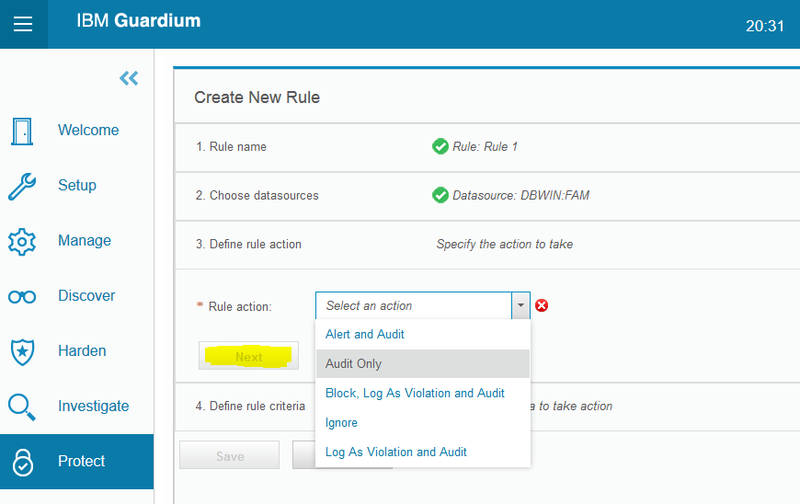 Base on this refreshed information we can create Audit Process to identify changes of the existing instances or detect new ones available on the host. Tip: If S-TAP configuration parameter from TAP section cannot be changed remotely by API or does not exist form field in GIM you always can modify it using CMD_COMMAND_LINE. Do not forget set up the DAM policy on the collector. Default policy installed on appliance after installation – “Ignore Data Activity for Unknown Connections” – ignores all traffic. 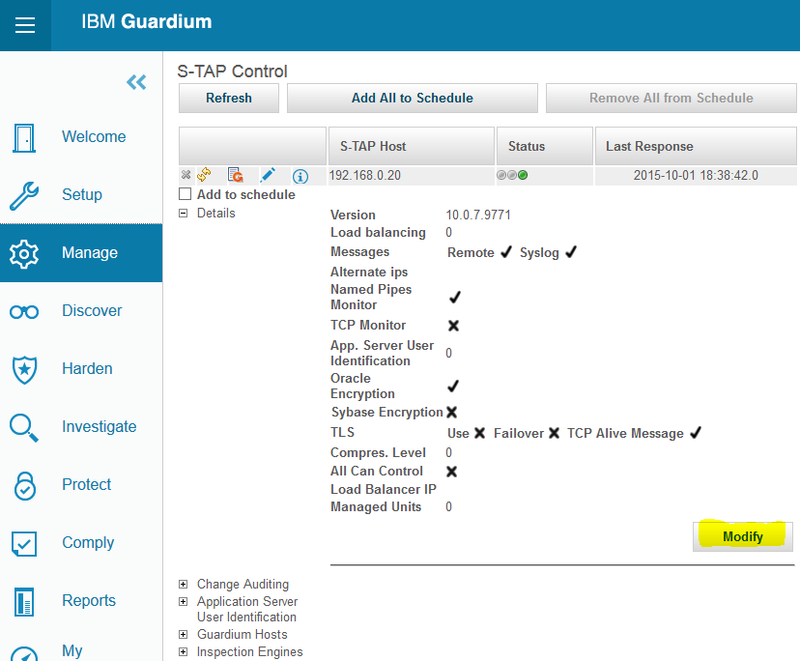 New in 10: Redefined S-TAP architecture in G10 allows monitor database traffic without restart machine or database. Now you are able to monitor database traffic. FAM does not require any inspection engine definition. 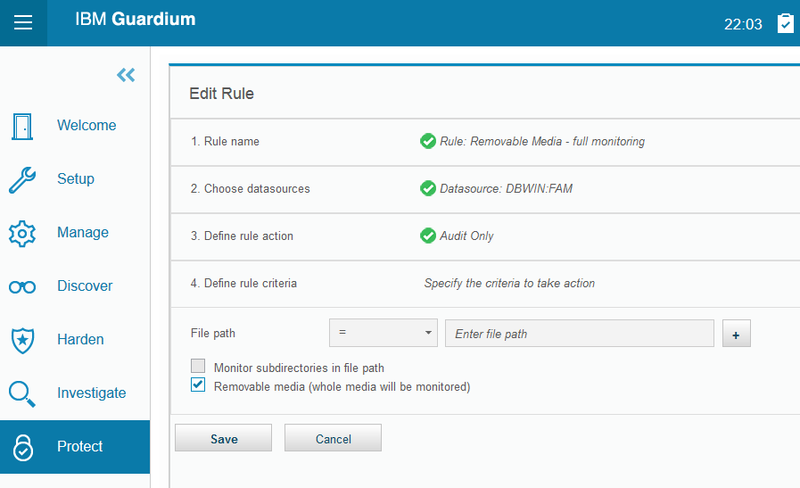 File monitoring is defined by separate FAM policy installed parallel to DAM. Criterion for User uses this same four qualifiers but related to user names. 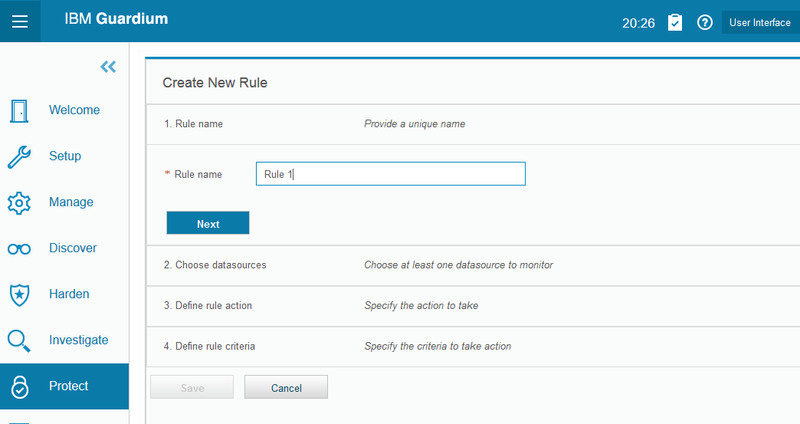 If User criterion is not appear in the rule or has no value, each user is monitored. Access command criterion can refer to one selected operation (=) or their group (In Group). If this criterion has been removed from rule or has no value, all operations are monitored. FAM policy has to be installed on collector. It is completely independent to DAM and must be installed parallel. Tip: When FAM and DAM coexist together you need to manage minimum 2 polices on your collector. Use the names of easy to distinguish policies (DAM- and FAM- prefixes, for example). Install & Override action used before G10 most frequently is not longer an option in DAM and FAM environments. #1 – What exactly the DAM is? It is very difficult to compare solutions. Be sure that you compare “apples” to “apples” instead of “apples” to ” pears”. 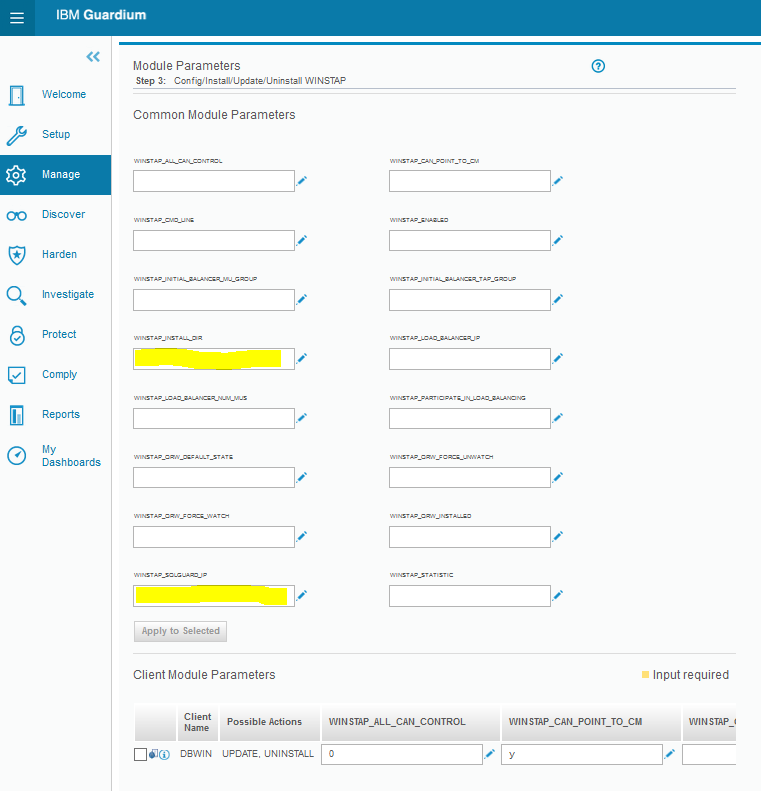 Very often the requested DAM feature works on different layer and it is covered by other solution (WAF, IPS, NG-Firewall, CM management). Ask rather for solution support of your case and requirements than for the list the functions included in the vendor box. #2 – Agent-base or Agent-less monitoring? 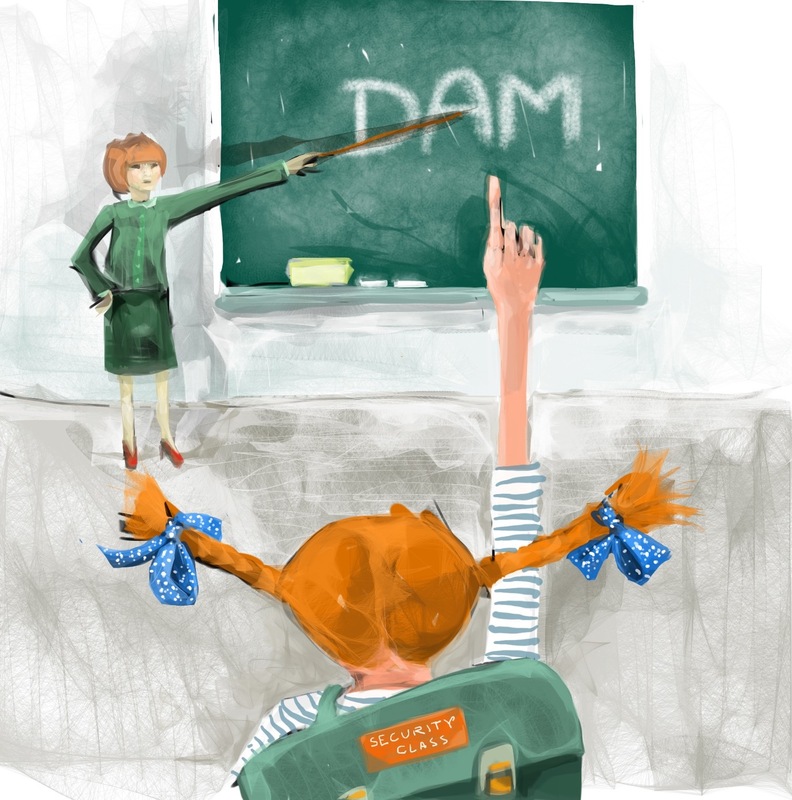 In case of DAM the answer on this question can be only one. 100% data traffic visibility is not possible if we will base on network sniffer (agent-less) because you are not able to monitor local sessions. 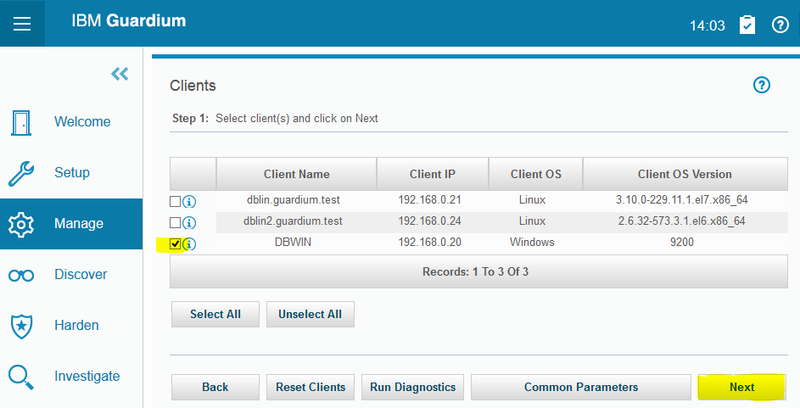 Only the agent-base monitoring ensures the DAM requirements coverage. Check your platform and protocols supportability. Check performance overload on your database. Even you will be able to disable any local access to database you still assume that your network configuration is stable and all session are visible for sniffer what is not true at all. 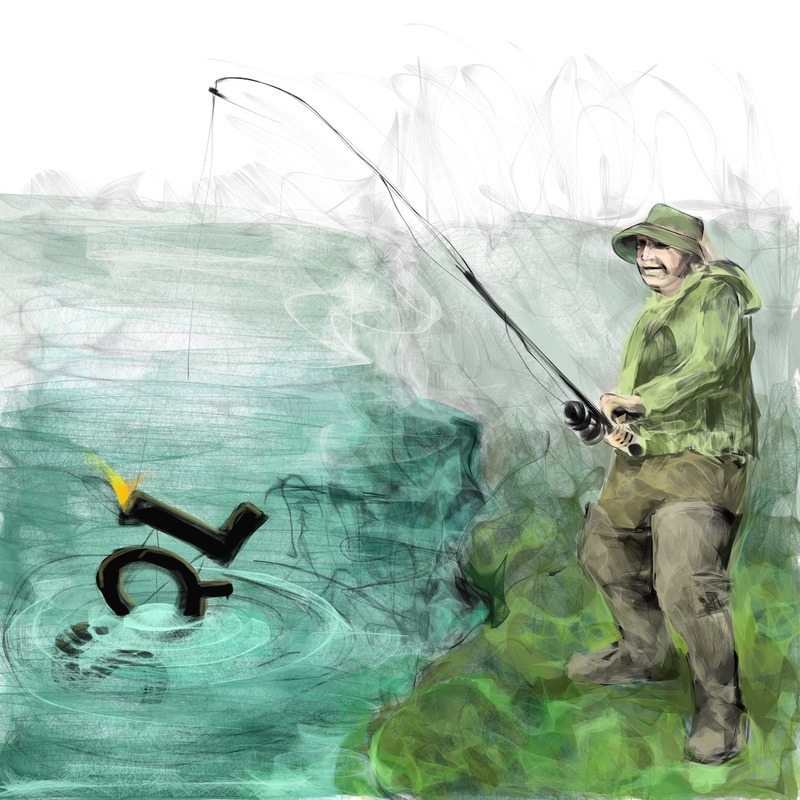 #3 – Does your DAM prevent SQL Injection? I love this stuff. 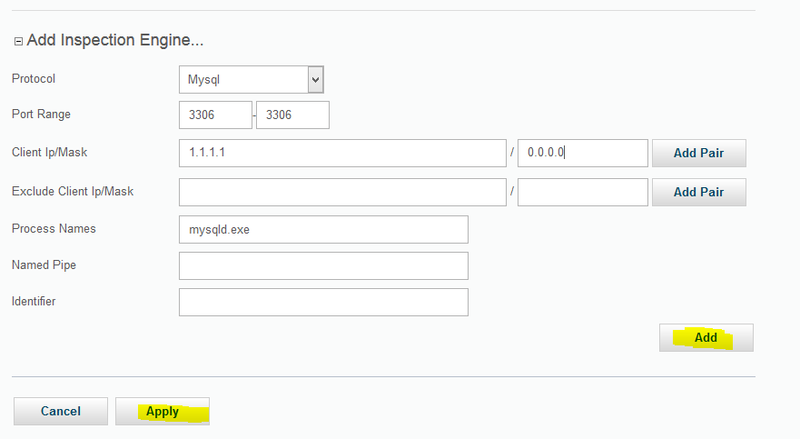 This question is completely unrelated to SQL level, it is question about protection of web application. If you would like to stop SQL Injection attacks the solution is easy – use WAF or IPS/NG Firewall. These types of solution work on network layer and are able to HTTP/S data de-encapsulation, parsing and identification of dangerous content (injected SQL string or its meta-form). It is clinical example how use the one common known word in the name leads to misunderstanding the clue of the problem and its resolution. SQL Injection must be analysed on HTTP/S layer. It has not related to DAM protection. If your WAF or IPS will not able block the attack, the DAM will be still able to analyse the SQL syntax, session context and data reference. It is normal DAM task and should not be mistaken with SQL injection protection. 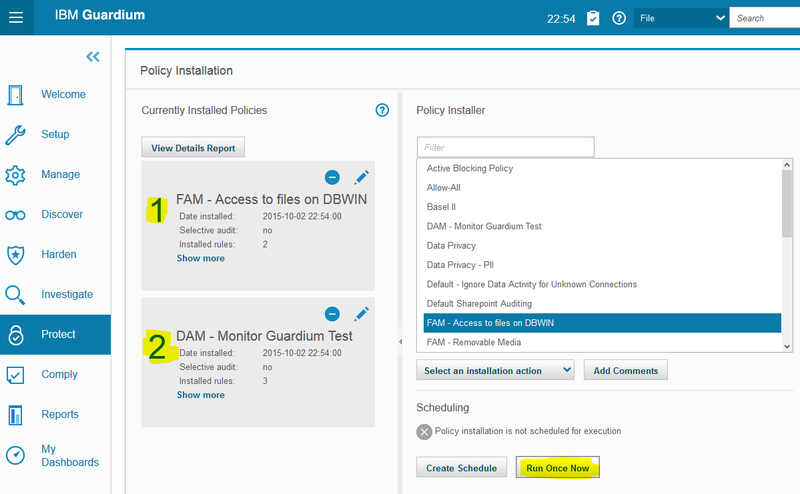 #4 – Can we build the Virtual Patch protection with DAM? In many parts the answer is similar to SQL injection case but I will describe it deeper. but if vulnerable element resides on database we need to consider situation that exploitation can lead to uncover other vector of attack. That is why VP should be defined on network layer using IPS and NG-firewall primarily. #5 – What is your DAM data collection architecture? Some solutions do not work in real-time and use DB logs or additional event collection mechanism to provide SQL visibility. If we do not need blocking this architecture could be accepted but this logging is dependent on DB administrators and does not provide any segregation of duties (for example, insider can modify or switch off the logging mechanism). How the audit data are stored and managed by DAM is another architectural question. Would you like to switch from one audit console to another to check status of your monitored environment? Would like to remember which DAM box contains data required to current analysis? And the most important do you know what kind of stored audited data will be a key in your forensic searches? 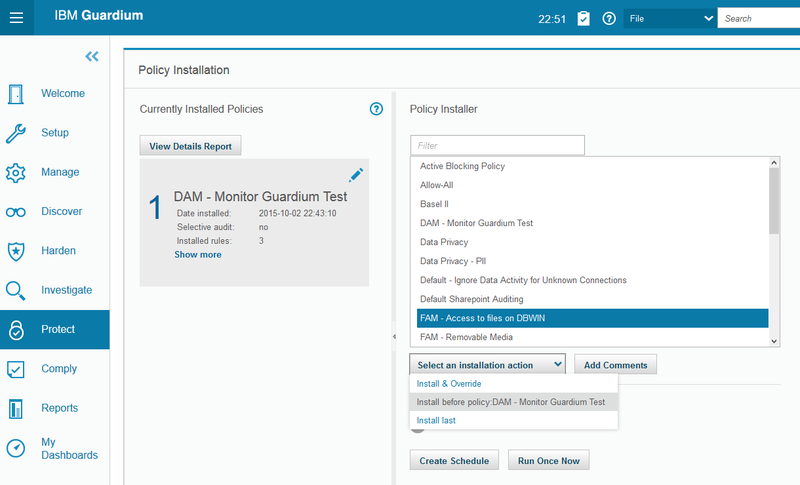 DAM solution usually monitors heterogeneous environments, cover dozens databases and gathers terabytes audit archives in the retention period. #6 – Why I do not see user names in DAM? 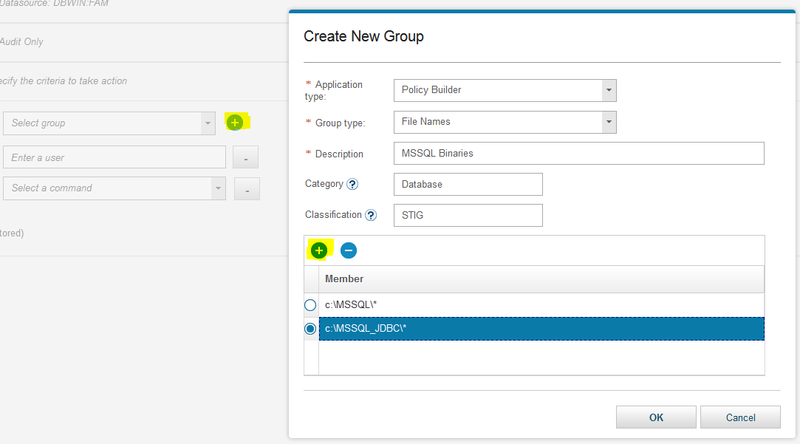 On SQL session level we see DB user name only. If you would like to get information about application user name related to particular SQL you need understand that this relation is created and managed by application server (queue manager). Each DAM faces with this challenge and provides different solutions but every time it requires deeper analysis and sometimes application modification. 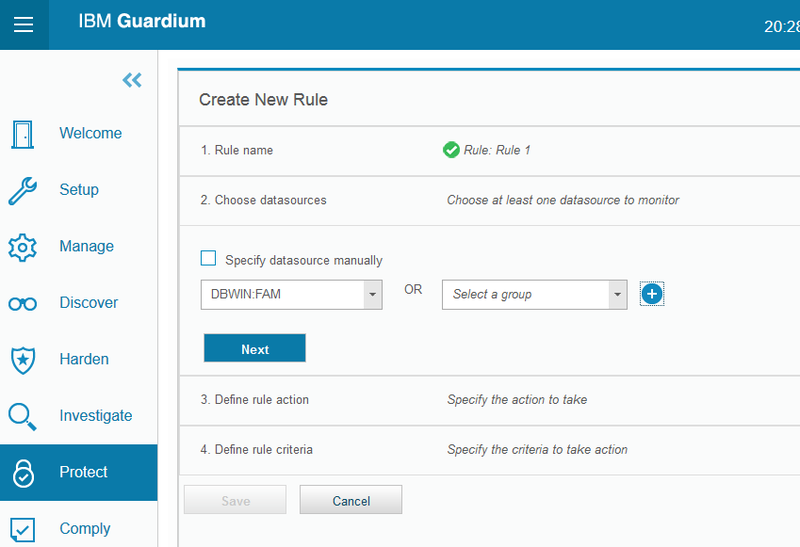 Guardium delivers many different solutions for Application User Translation in the pool of connection which are described here – “Guardium – App User Translation”. Application User Translation (AUT) is a correlation process between application user and his SQL’s inside anonymised pool of connection. Be sure that AUT does not work on simple correlation between time stamps in application and database. This kind of mapping in the multi-session channel is incredible and have no legal value. #7 – I have SIEM, why I need DAM? Security Information and Event Management (SIEM) systems are responsible for correlation the security events in the IT infrastructure to identify incidents. 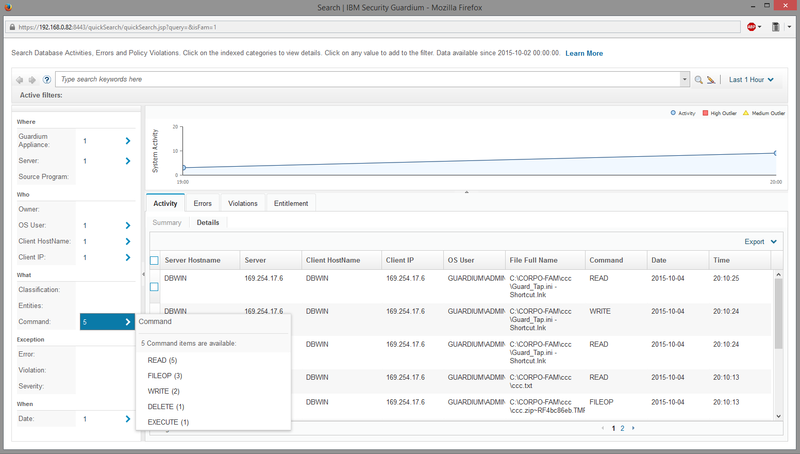 These tools base on the monitored system security logs, network activity, recognized vulnerabilities and reputation lists. 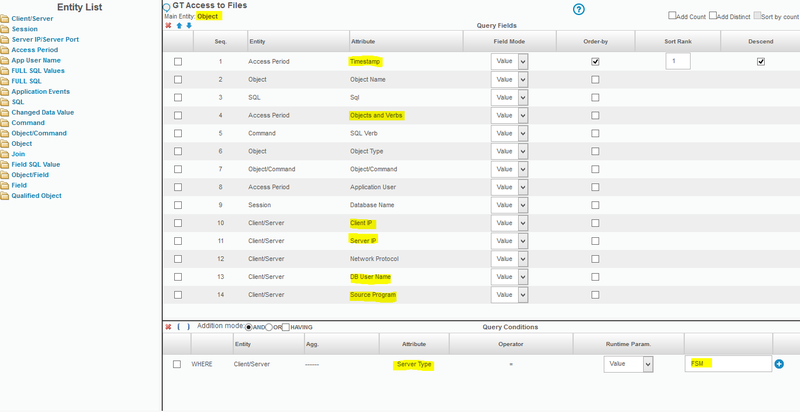 SIEM manages the security events delivered to it in the predefined schema, it is not able to understand HTTP requests of your appplication, SQL logic of your database transactions, commands executed by your administrator and so on. It expects that the monitored system will prepare the standardized output included relevant information which can be normalized and analyzed over the incident identification rules inside SIEM correlation engine. 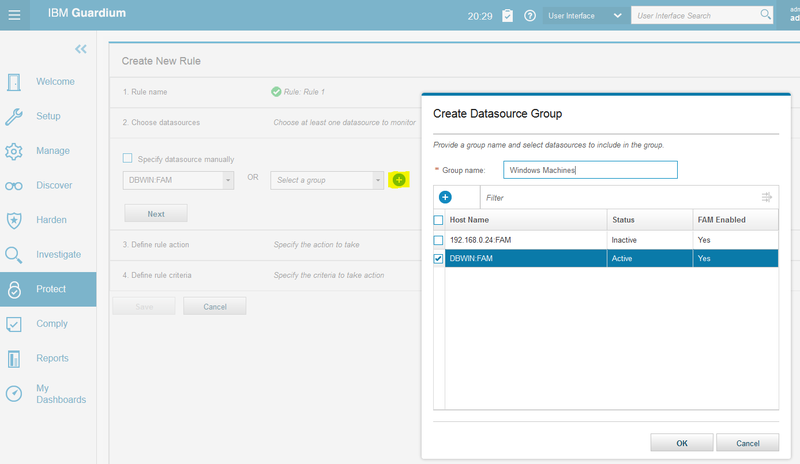 Only DAM has ability to analyze each SQL and identify access to sensitive data, monitor privileged activity, correlate access to tables, predict the effect of taken by DML/DDL/DCL actions. In most cases the SIEM licensing is based on EPS (Event per Second) metric. Even SIEM will contain the DAM intelligence and we would like to analyze all SQL’s inside it the cost of such a solution will be astronomical. #8 – Does your DBF work on the session or SQL level? DAM blocking capability is often requested but it should be considered very carefully. Most application traffic to database is related to transactional statements, where set of SQL’s and their order affects the analysis carried out and its effect. If we block one of calls in this sequence we can get an exception or worse, loss of data consistency. The business security primates – confidentiality, integrity and availability (CIA) – leads to one possible conclusion that only session reset is safe method to block access because it avoids execution incomplete transactions. However this method is useless in the pool of connection – reset of the SQL session kills the transactions from different application sessions. That is why blocking was actively used only for non-application access to database while the application access was monitored with whitelisting. 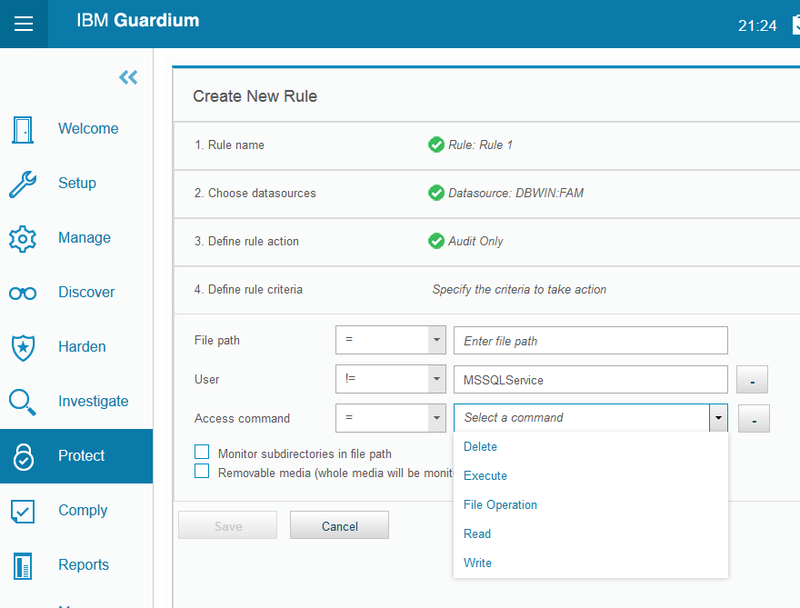 Guardium 10 with Query/Rewrite feature redefined this approach. 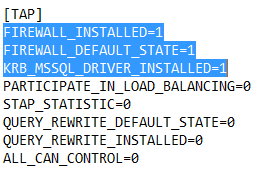 Now we can analyze SQL and replace it but not in order to change transaction’s body but to inform that it is suspicious activity and cancel its execution. It requires small changes in the application but provides “blocking” on transaction level.